The guide, Black Rock City’s burning book of musical rites, has become a coveted, annual ritual. In response to and to participate in this year’s Radical Ritual theme, I gift you all the data from the Rock Star Librarian Music Guide in spreadsheet format. You choose what to do with it. Print the spreadsheet PDF exactly as it is or accept this call to create your own musical ritual and meaning from the data. Transform and playfully re-purpose it into an alternative format and focus of your choosing and gift it back to our community. Are you a drum n bass aficionado? Or do you have a perfect way to reformat the info into a small, pocket sized booklet you’ve always wanted? Over the years many of you have shared that you found ways to upcycle the guide and create your own versions of it to gift to others. I love this idea! Please share your creations with me via email or Google Drive share to therockstarlibrarian at gmail dot com and I will reshare it! 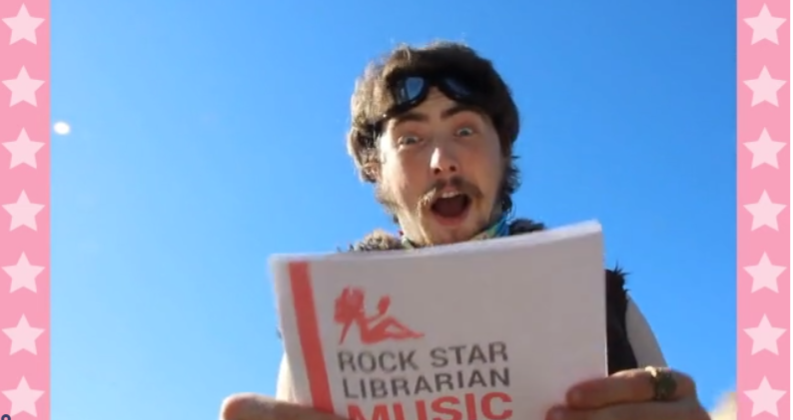 the 2017 Rock Star Librarian Music Guide! I’m taking this year off from Burning Man after a solid, ten year run and 18 Burns total. But please print out several copies yourself and gift them on the playa! The entire 2017 RSL Music Guide is available digitally via the Time to Burn app iOS / Android and includes not only the music lineups but the entire ePlaya events for BRC. Gee, this is really good!